Christopher Perez, 9, receives a no-cost comprehensive eye exam as part of an eye health event hosted at the Eye Care 4 Kids clinic Saturday, Sept. 29, 2018, in Las Vegas. The event is part of a nationwide grant program by UnitedHealthcare. Eye Care 4 Kids in Nevada received a $5,000 grant for the event (Photo: Isaac Brekken). Kelly Simonson, president of Health Plan of Nevada (center) and, to her right, Stephanie Kirby, executive director of Eye Care 4 Kids, joined UnitedHealthcare volunteers for a $5,000 check presentation to Eye Care 4 Kids Nevada during a no-cost comprehensive eye exam as part of eye health event Saturday, Sept. 29, 2018, in Las Vegas. The event is part of a nationwide grant program by UnitedHealthcare (Photo: Isaac Brekken). Brianna Robinson, 10, receives a no-cost comprehensive eye exam as part of an eye health event hosted at the Eye Care 4 Kids clinic Saturday, Sept. 29, 2018, in Las Vegas. The event is part of a nationwide grant program by UnitedHealthcare. Eye Care 4 Kids in Nevada received a $5,000 grant for the event (Video: Matt Adams). 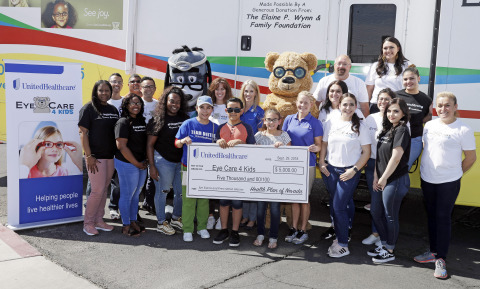 LAS VEGAS--(BUSINESS WIRE)--Southern Nevada children received free comprehensive eye exams and prescription glasses as part of a back-to-school public health event organized by UnitedHealthcare’s Health Plan of Nevada and Eye Care 4 Kids. 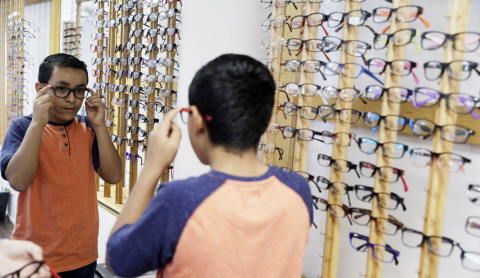 The exams were conducted by optometrists from Eye Care 4 Kids, and any child identified with the need for prescription eyeglasses will receive a free pair of glasses during a follow-up visit. The event is part of a grant program from UnitedHealthcare to nonprofits in cities across the country to coordinate free vision screenings, comprehensive eye exams and glasses donations. 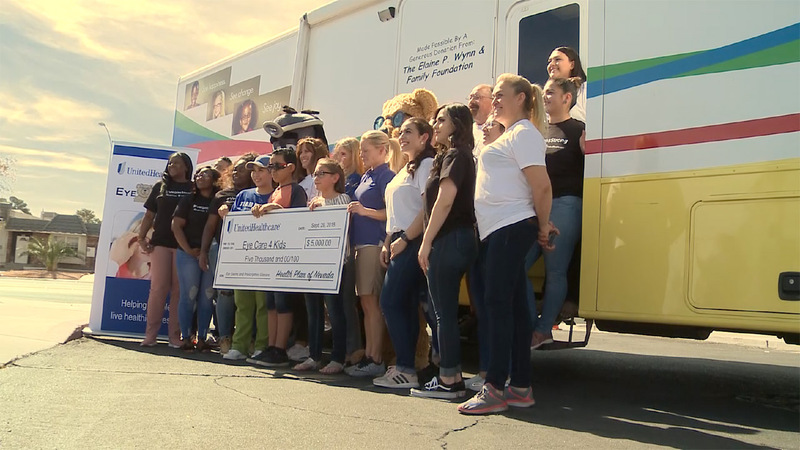 Eye Care 4 Kids Southern Nevada received a $5,000 grant for the local event. Southern Nevada children received free comprehensive eye exams and prescription glasses as part of a back-to-school public health event.